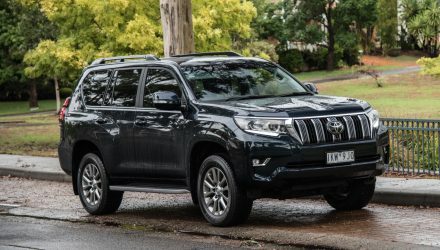 No other new vehicle on the market blends in with Australia’s arid and unforgiving land like the Toyota LandCruiser 70 Series. 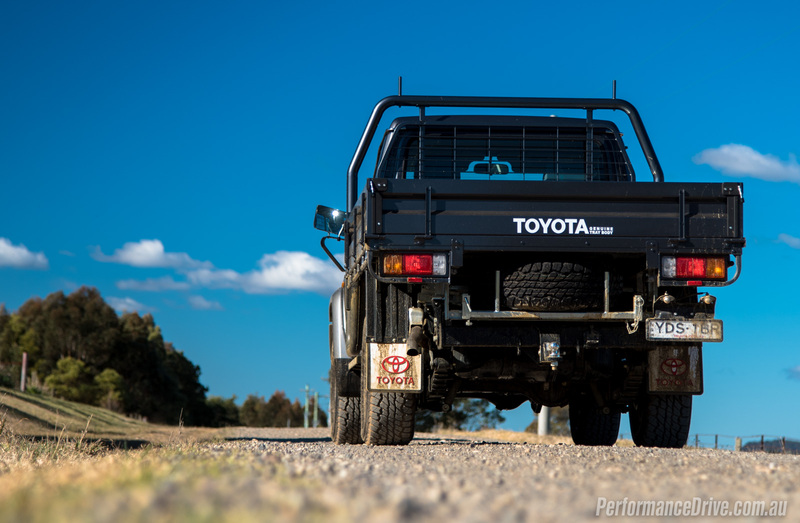 If you’ve ever seen an Australian postcard with a car on it, chances are the car is a silhouetted shot of the 70 Series. 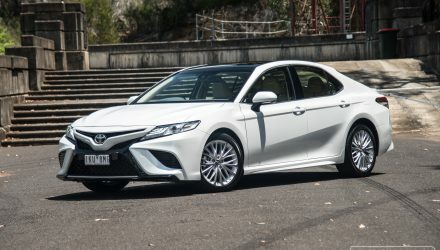 Toyota still makes these, so you can buy them brand new. How cool is that? 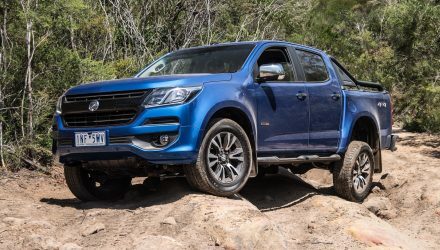 While the ute segment enjoys plenty of sales in Australia each month, figures that are reported usually only comprise of utes that are available in both two- and four-wheel drive. 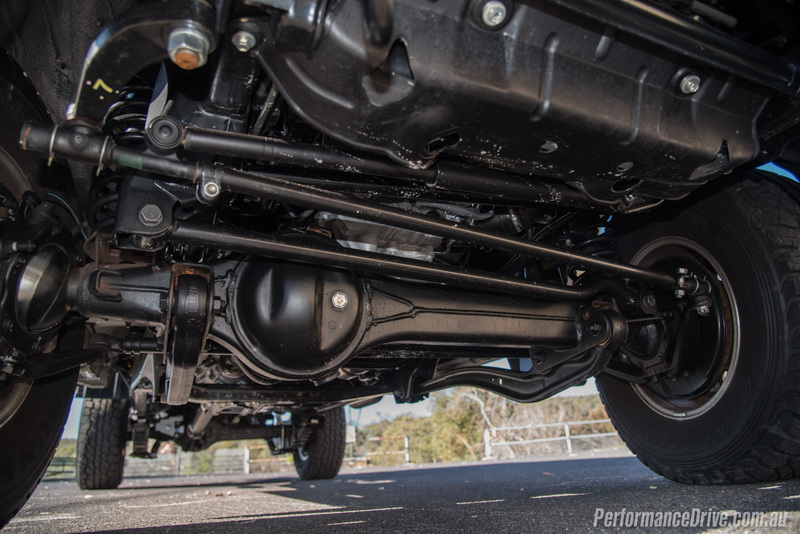 Thus, the 70 ute often misses out on the spotlight as it’s only available with the latter setup. 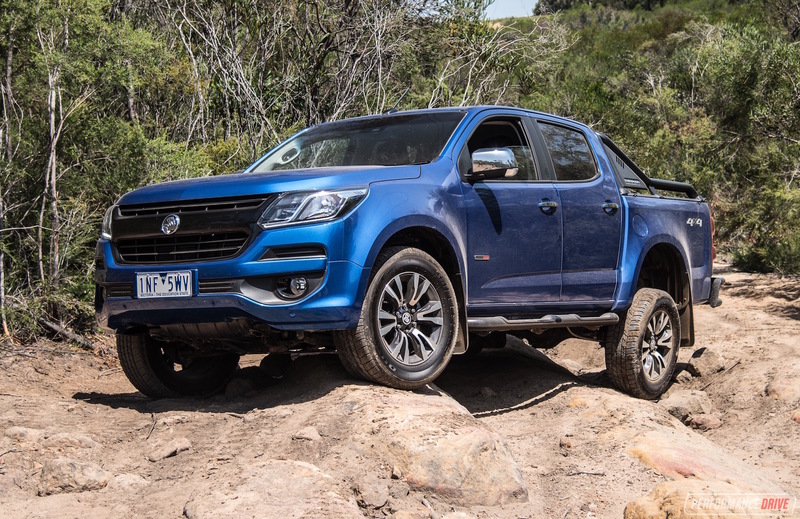 So far this year (through July) the local arm has sold 4053 examples, which makes it only slightly less popular than the VW Amarok 4×4 (4922 sales). 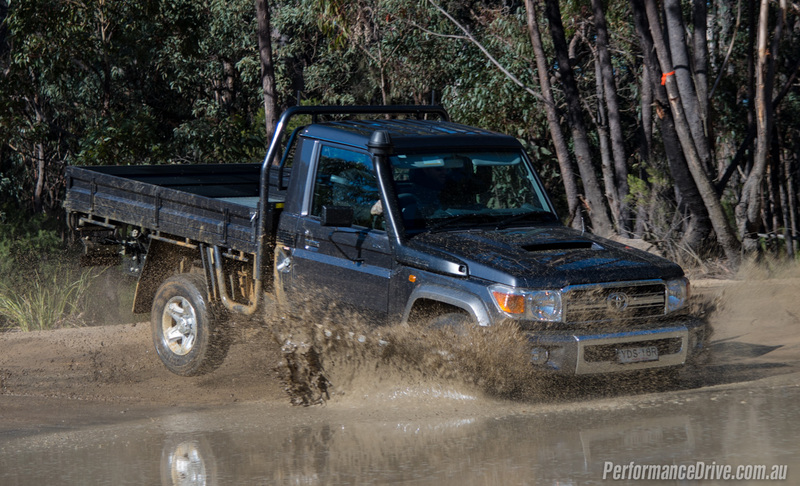 Toyota Australia offers just two variant grades; the SES-spec Workmate and the somewhat-equipped GXL as tested here. 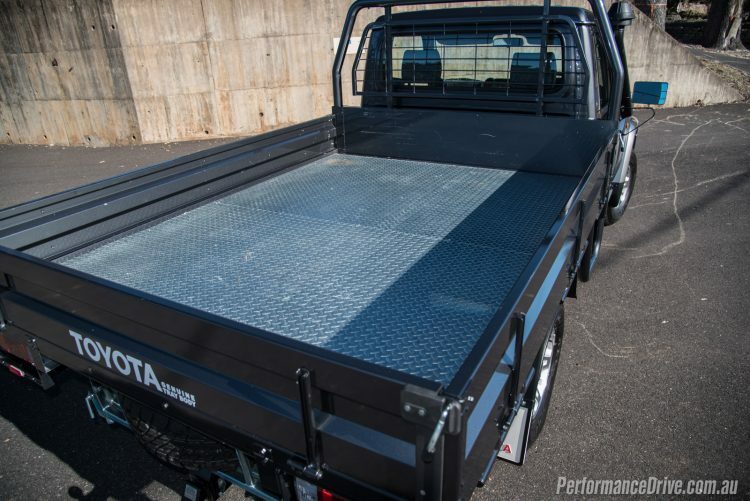 You can get it in single-cab, dual-cab, five-door wagon and Troopcarrier body style. 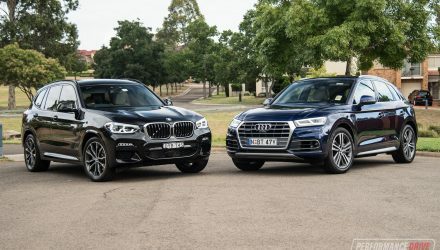 All come with a 4.5-litre turbo-diesel V8 that produces 151kW and 430Nm, connected to a five-speed manual transmission (no auto available). 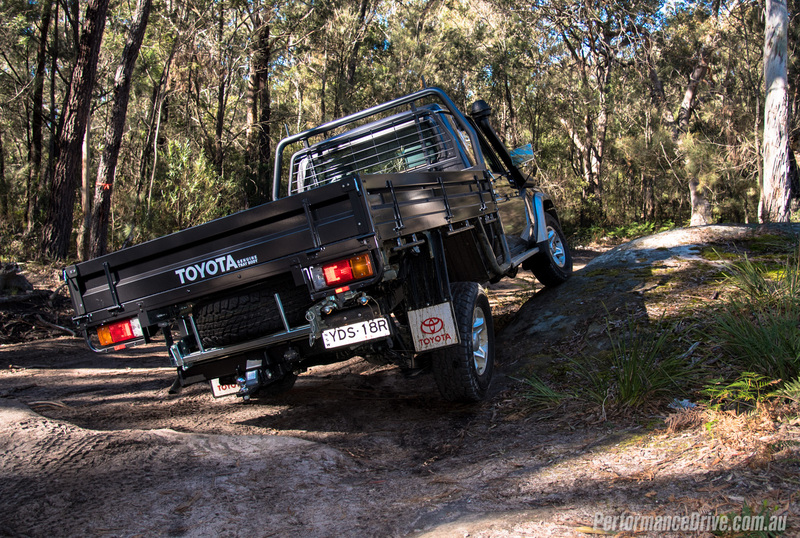 Despite looking like it is from the 1980s (1984 to be exact – J70 LandCruiser), being retro does come at a cost. 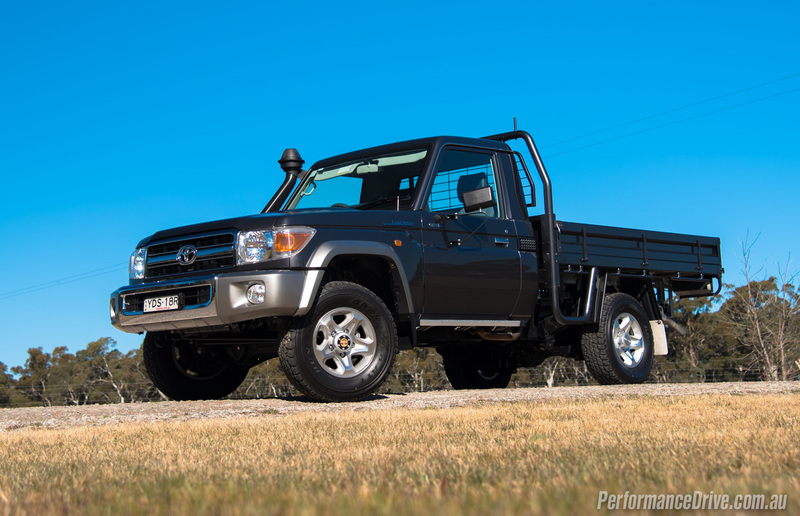 This GXL single-cab starts at $60,990, making it more expensive than some of the lavishly-appointed flagship dual-cab favourites. 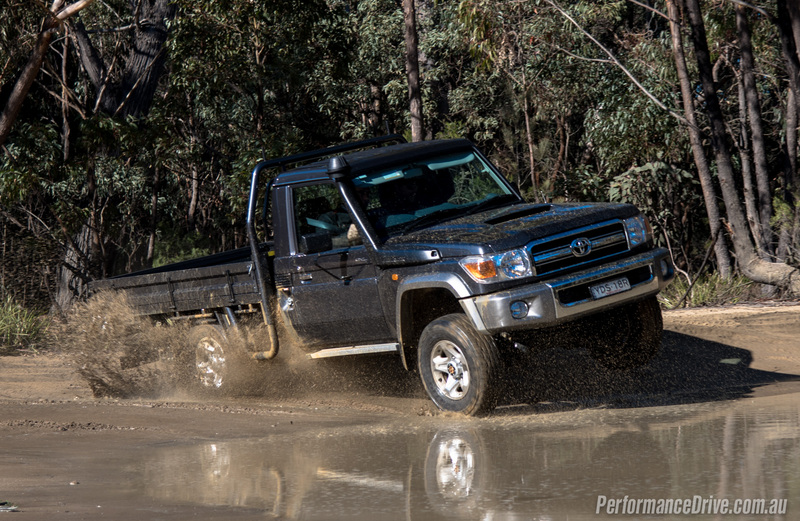 If you’re considering a 70 Series ute, chances are, you’re going for sheer toughness and longevity above all else. 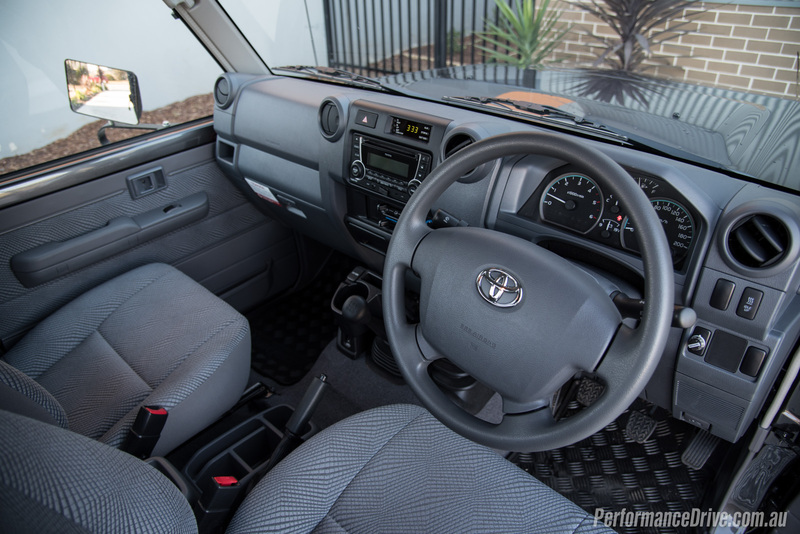 So it should come as no surprise there are very little creature comforts in here, certainly lacking some of the modern gadgets that are popping up in utes these days. 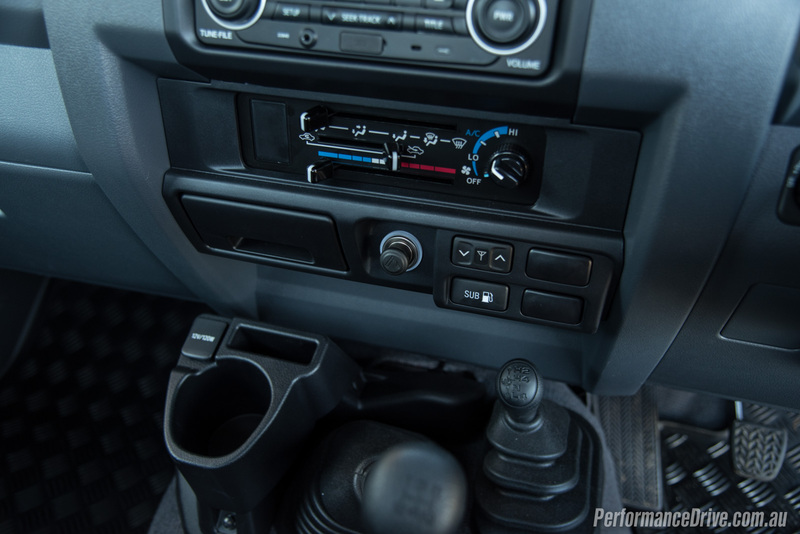 Air-conditioning is a $2671 option on this GXL, however, the engine snorkel is standard. 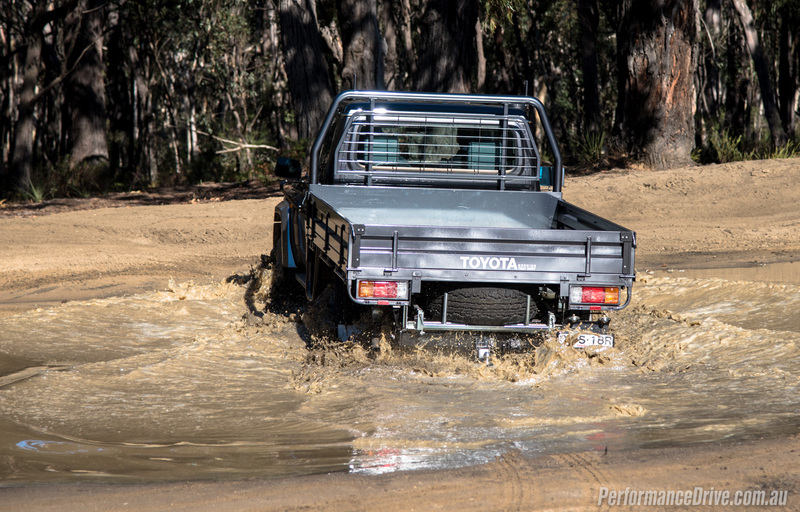 This gives you some idea of this vehicle’s intention; it would rather pulverise a 1000km corrugated dirt road in the outback than prance around the suburbs towing a jet ski. The cabin is refreshingly basic. It’s mostly straight lines and boxy shapes for the dash, and you know you’re in an old car when you see metal panels inside the cabin; along the top of the doors. We like the setting. It brings you back to more approachable and less complex times. Even though it is large on the outside, measuring over 5.2 metres in length, the cabin isn’t particularly spacious. 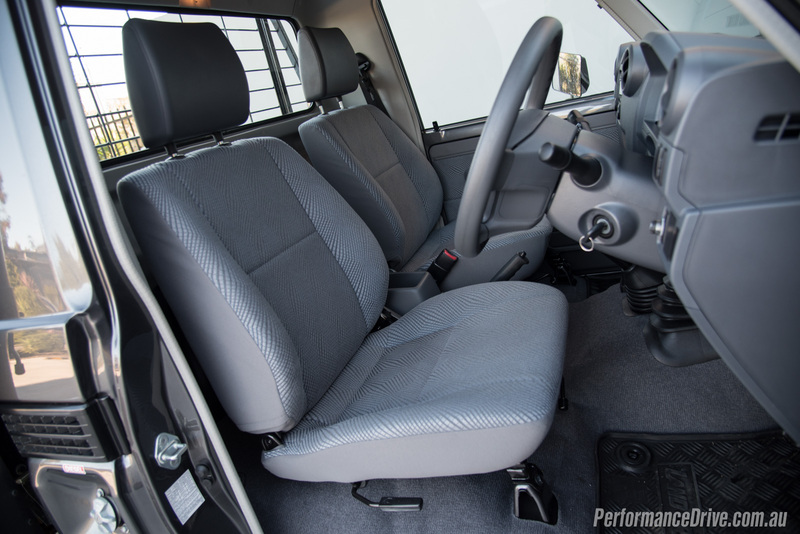 There is room to move about and it feels airy, but the gap between the two seats isn’t as big as you might expect. And keep in mind the seats are also from the history books, in that they’re relatively thin in construction and don’t take up as much room as some of the modern seats out there today. 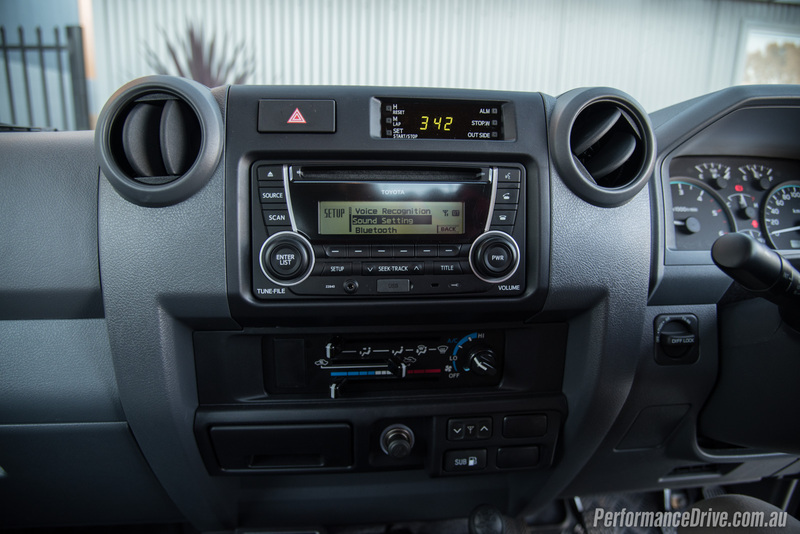 In terms of equipment, the GXL gets a primitive audio head unit with Bluetooth – and Bluetooth music streaming capability, surprisingly – and a USB port. We wouldn’t get too excited about pumping the tunes though as it’s all fed through a no frills two-speaker stereo. We’ve heard mobile phones produce louder and higher quality sounds. Again though, that’s not what this vehicle is about. 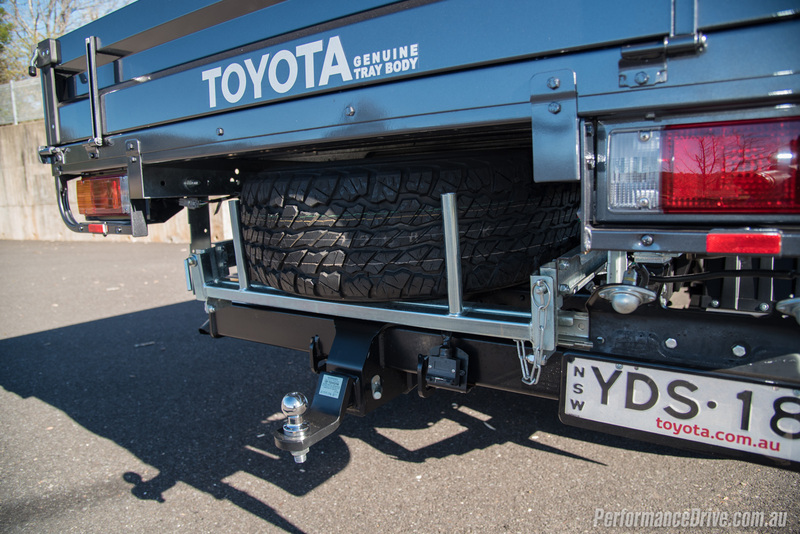 Payload is upwards of 800kg (depending on variant/body style), and the towing capacity was already at the 3500kg benchmark before today’s popular utes were even born. 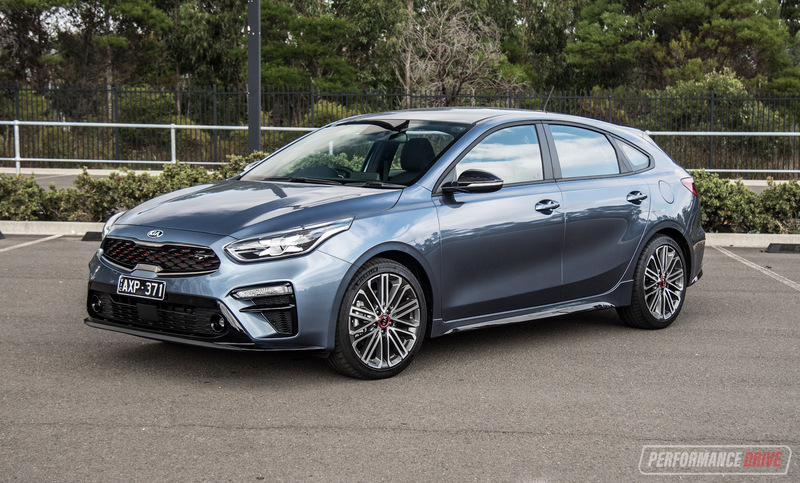 You also get dual-range four-wheel drive, with manual hubs at the front axle – there’s nothing manlier than getting out of your car to lock the hubs. 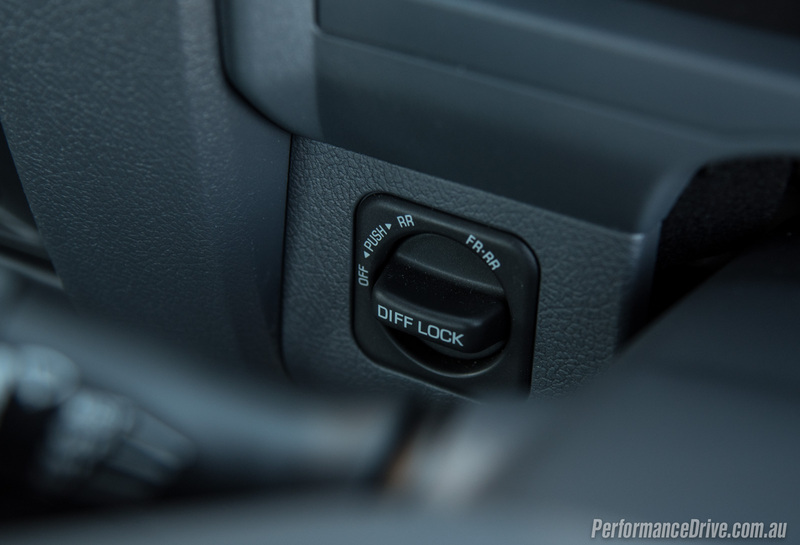 As we’ll discuss in the drive section below, this is a very interactive vehicle. The human element plays a very important role in the driving experience. Nothing is automatic or electric-assisted, except for the aerial, actually, and there’s essentially three materials inside; grey textured plastic, steel and carpet. In-cabin climate is controlled via an old slider tiller, and there are plenty of square storage boxes around. 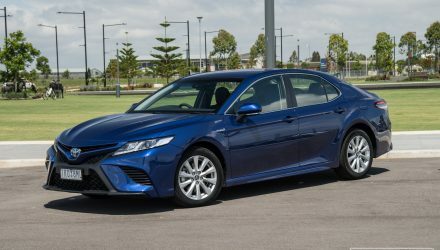 In terms of safety, it does come with driver and passenger airbags, side intrusion beams, and anti-lock brakes (ABS). Unfortunately, these are only good enough for a three-star ANCAP safety rating. In 2010, ANCAP tested the dual-airbag version and gave it an overall score of 22.88 out of 37. 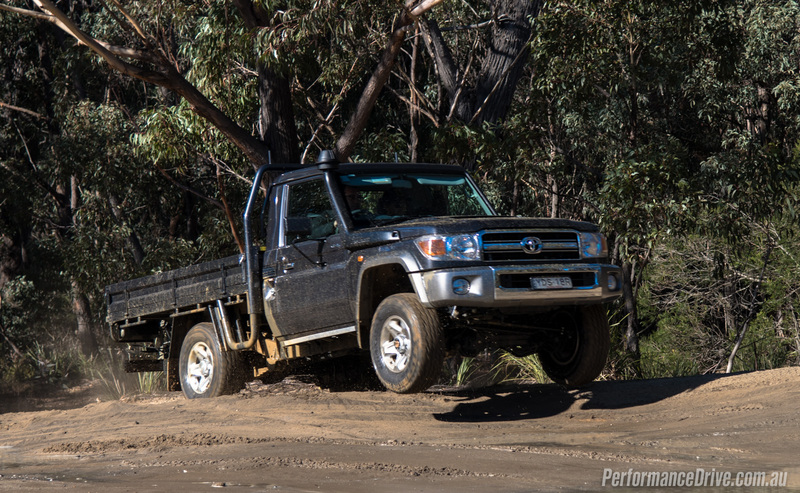 Most utes of today score above 32.5 (qualifier for five stars), including all body styles of the HiLux. On paper, the 4.5-litre turbo-diesel V8 seems like an appealing unit. 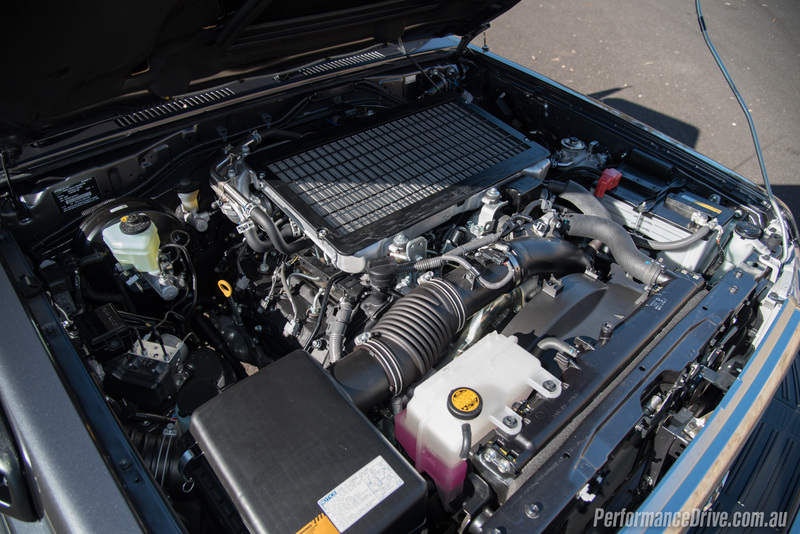 Codenamed 1VD-FTV, this is actually Toyota’s first-ever turbo-diesel V8. 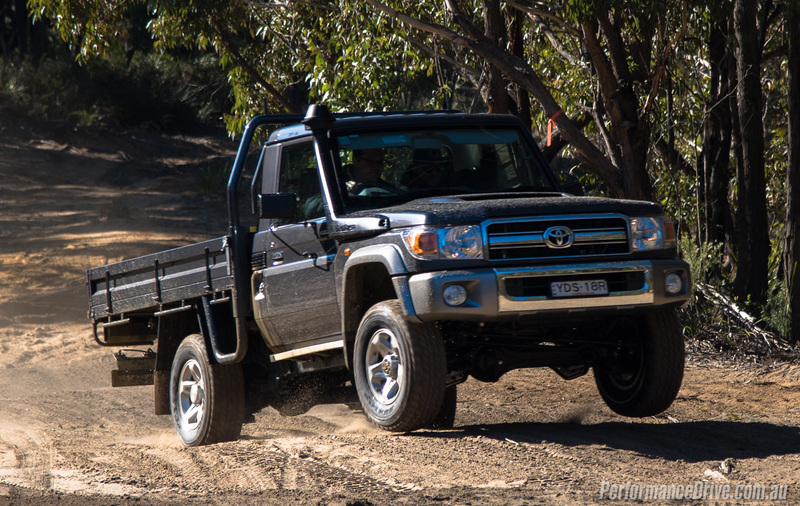 It debuted in 2007, in the 70 Series, featuring double overhead camshafts and a variable geometry turbo. It has the makings of a great unit. 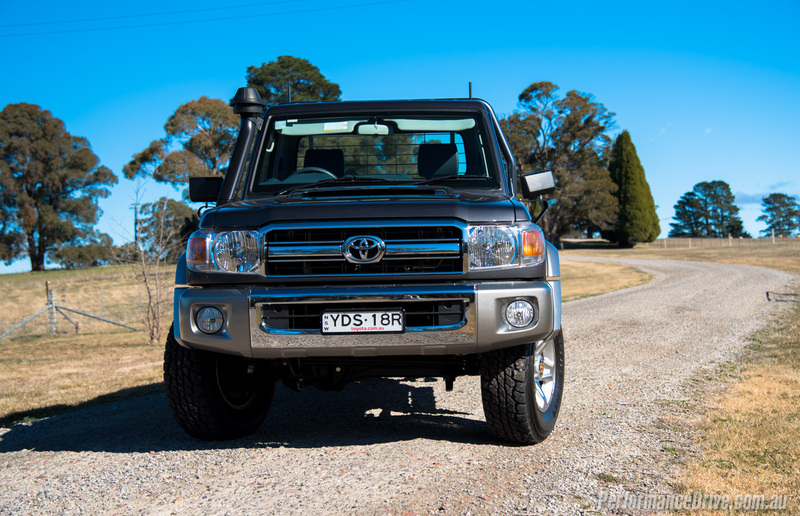 In fact, it’s the same trusty engine that’s used in the LandCruiser 200 Series, only that gets twin turbochargers. We love the engine in the 200. It’s smooth, very powerful, relatively refined, and offers good performance. 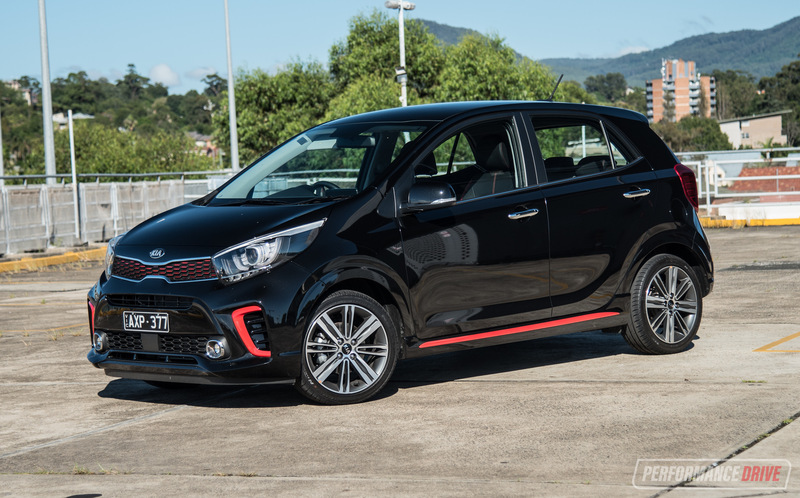 Unfortunately, here in single-turbo form, it is very rough and isn’t linear in power delivery. 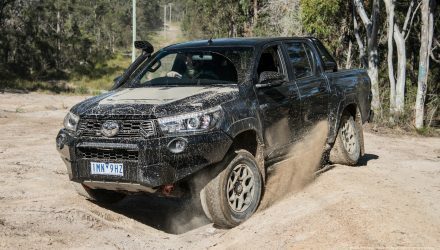 Toyota Australia is introducing an updated version later this year, which will likely be the last 70 Series to be offered new as safety and emissions standards are lifted higher and higher. The update will bring new injectors and a longer-ratio drivetrain that should help to smooth things out a little. Getting up to speed in the current setup can be tiresome, especially with first gear lasting about two seconds. Once you’re at 10km/h, it’s ready for second. In fact, we set off in second gear most of the time just to save the hassle. 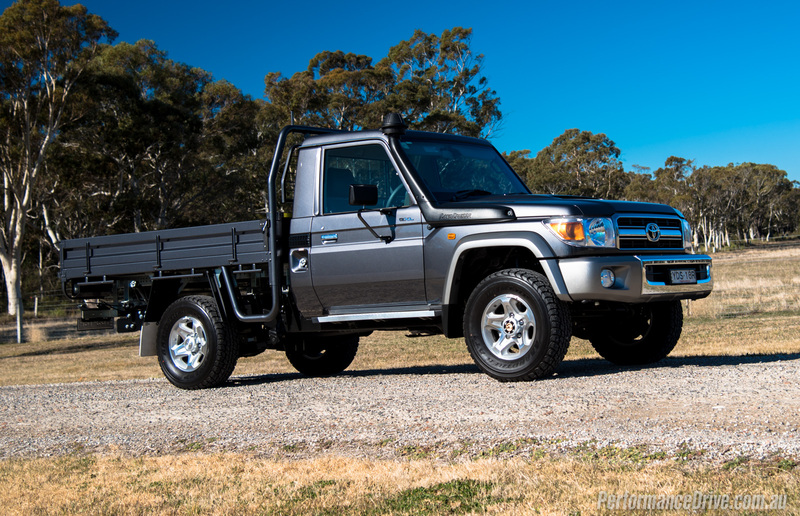 We get that it’s a rugged and old-school vehicle, and we love that, but some minor refinements would be very welcome. As usual we did do our performance testing, with 0-100km/h coming up in a laughably slow 14.85 seconds, and the quarter mile not far behind, crossing the line in 19.89 seconds at 113km/h. 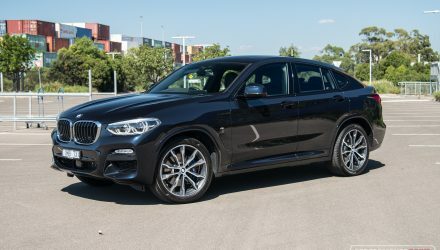 Now obviously this isn’t a performance vehicle by any means, but the relaxed attitude toward forward movement can be frustrating if you need escape from any sort of traffic situation, or overtake someone. 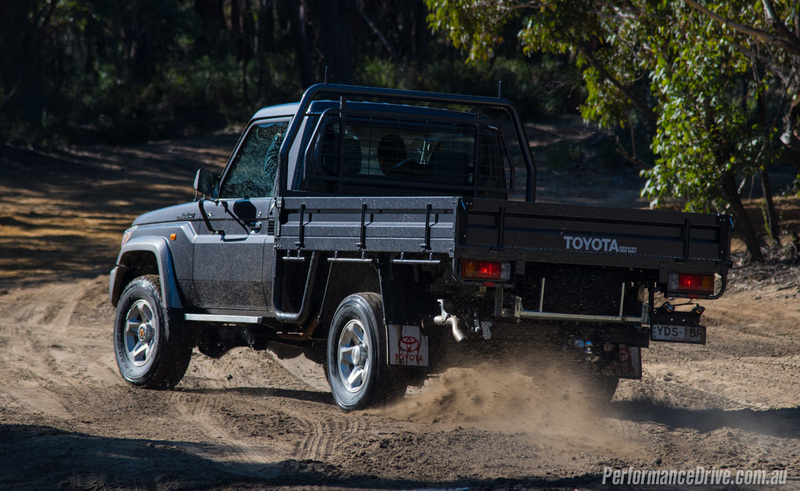 The single-cab GXL weighs in at 2075kg – similar to most heavy-duty, less-powerful utes of today – but it is difficult to find that 151kW and 430Nm. It doesn’t feel powerful or torquey. 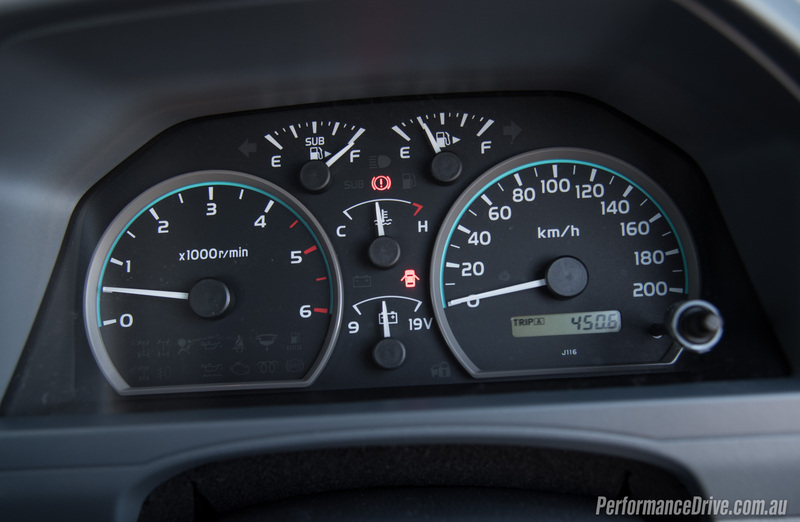 Third gear is perhaps the ideal ratio and engine rev combination. 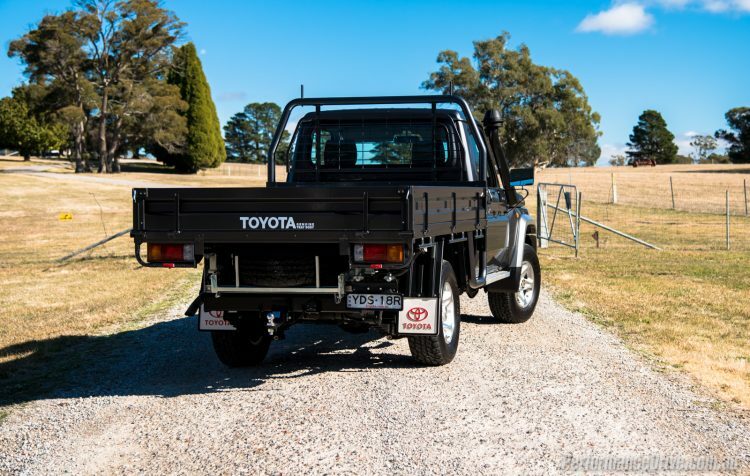 And fortunately you can spend most of the time in third gear when driving around the suburbs, or out on the farm, for example. Again, we are looking forward to the minor update later this year with the longer ratios. 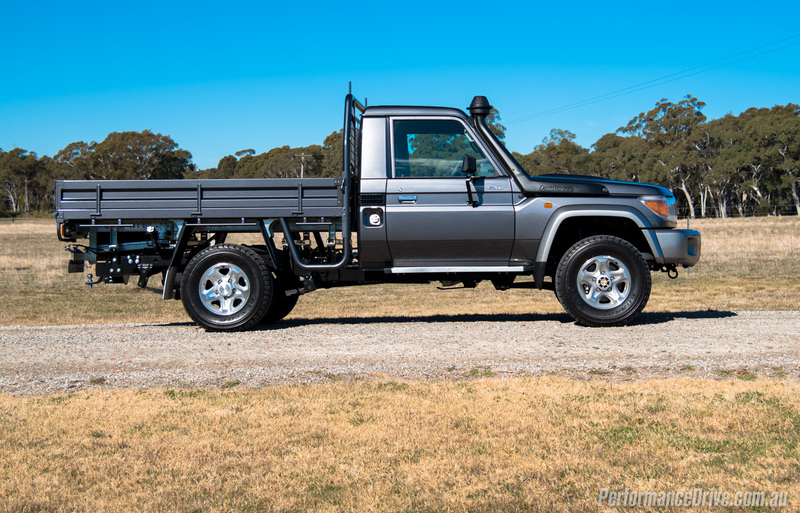 Around town the old-school recirculating ball steering is heavy and requires plenty of turns (3.83 lock-to-lock), and the turning circle is a rather poor 14.4m – the LC 200 turns around in 11.8m. 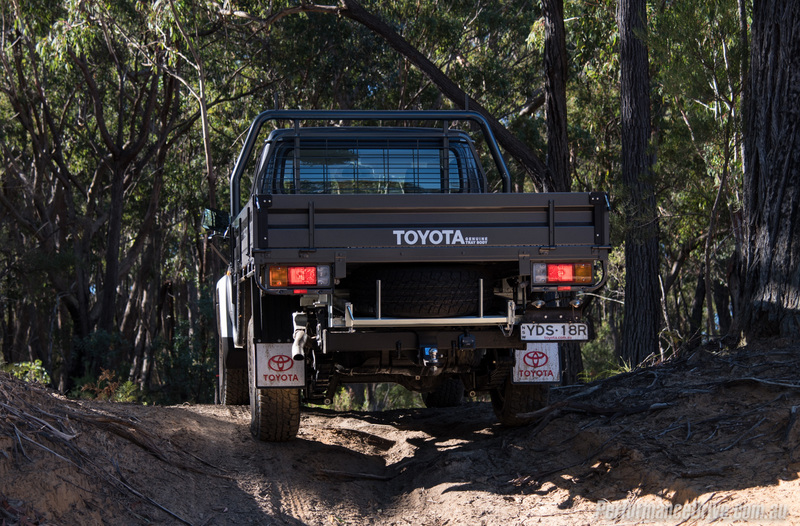 With the factory tray on the back (Toyota genuine accessory, not standard) it stands at over 2.0 metres tall. This means it won’t fit in most underground car parks in the city, as we embarrassingly found out during our test. Speaking of the Toyota accessory tray, it is superb. There’s a full chequer plate floor and robust hard plastic-coated latches that don’t rattle or creak. In its natural habitat, this is a machine you can trust. With a 35-degree approach angle and a 29-degree departure angle (it only snags the chassis or tow bar anyway), it is genuinely prepared for anything. 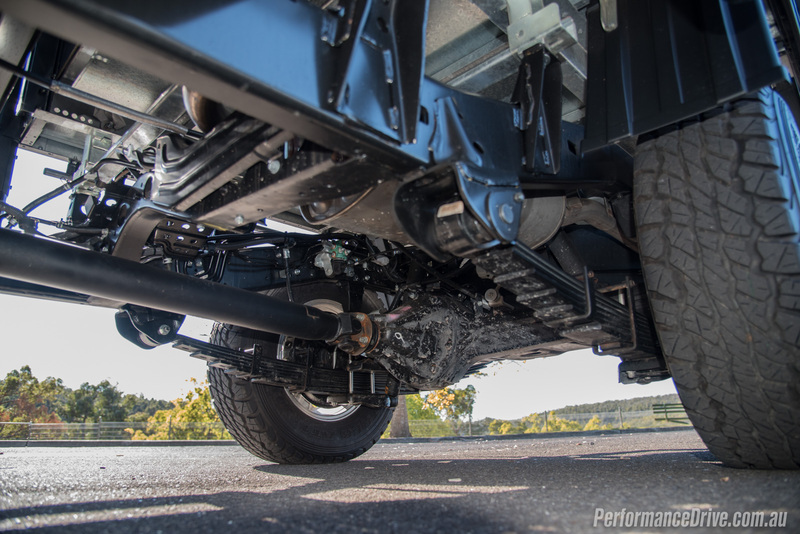 The heavy-duty live axle suspension front and rear will appeal to serious 4×4 enthusiasts, and front and rear diff locks means it will pull you out of almost every situation you could possibly get yourself into. 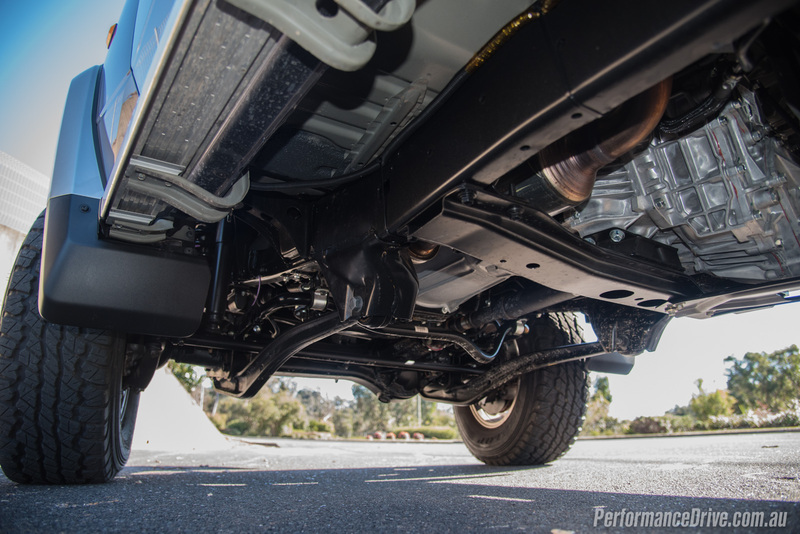 It also offers 235mm of ground clearance, but even it you do snag something, whatever you’ve snagged will likely be pushed out of the way by the rock-solid underpinnings. 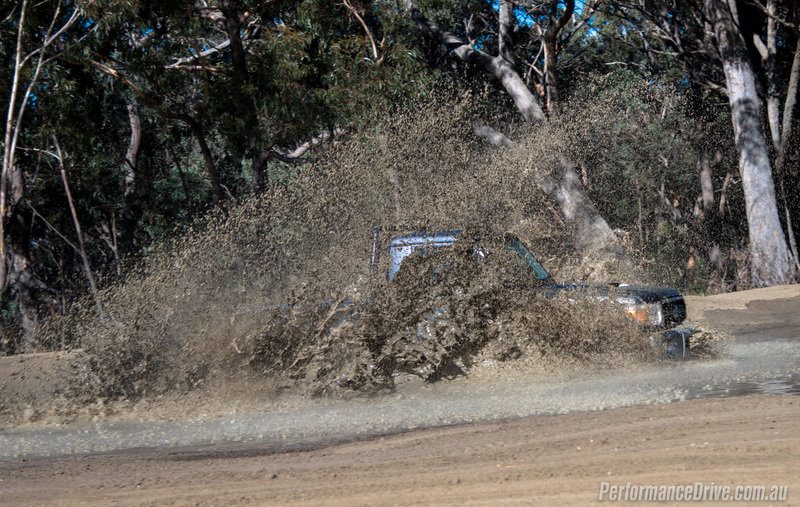 During our test we attacked some thick sand and mud and it responded like a pig… in the mud; it loved it. Splashing about, jumping into the air at times, and barging through mounds and over ditches like it’s constantly in a TV advert. Showing off, in other words. 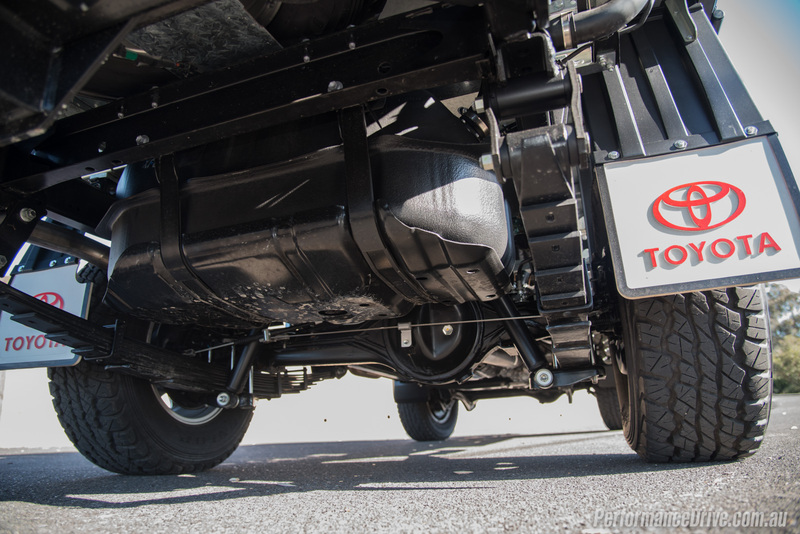 The heavy steering loosens up off road and the engine’s lazy character can actually become helpful in technical conditions. 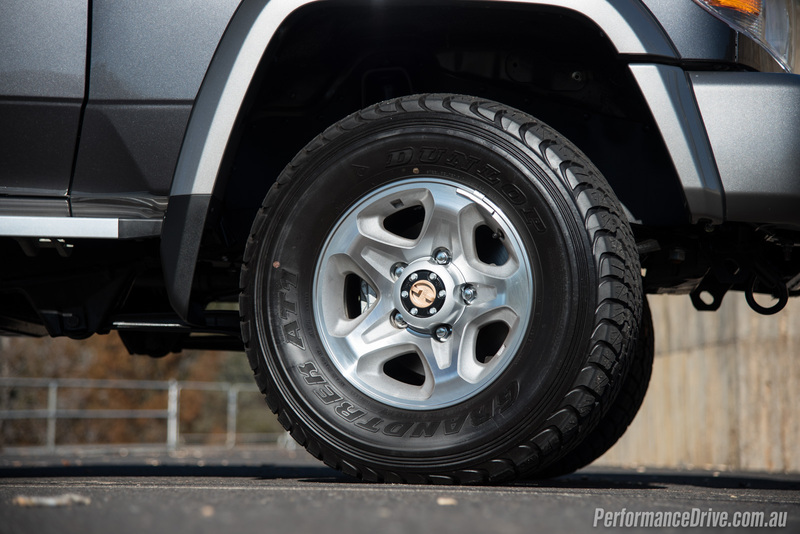 As standard the GXL comes with big 265/70 tyres mounted on 16-inch alloy wheels, with a reasonably aggressive tread pattern brought by the Dunlop Grandtrek AT1. Dunlop describes the tyres as boasting “smooth on-road performance and excellent off-road traction”. These were designed for the 70 Series. 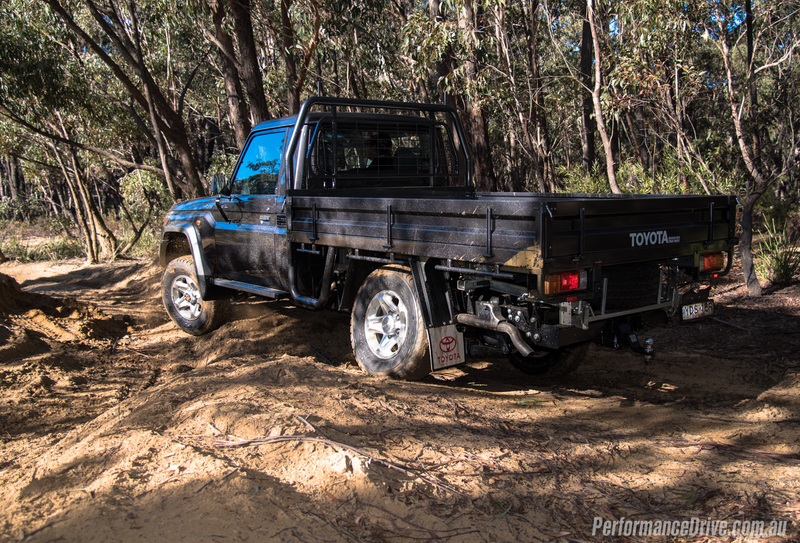 The 70 Series is one of the very few vehicles on the market at the moment that we would recommend as an ideal tool for exploring all corners of Australia. 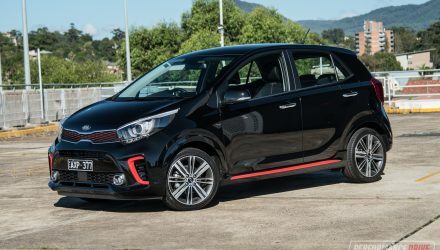 Fuel consumption is rated at 11.5L/100km on the official combined cycle, with a potential range of 1565km thanks to dual fuel tanks as standard, totalling 180L. It is, as suggested earlier, Australia’s mascot vehicle. We do like this car. It might not seem like it after reading through the review. But as any review, it doesn’t tell the full story. We’ve only looked at specific, calculable assessments. The fact that you can buy an old car as brand-new has a definite lure to it. And, like a good wine, it’s had time to age and evolve. However, we do need to advise you that this is not for sissies. There are sacrifices you’ll need to make if you’re planning to drive it in the suburbs regularly. And you will require some degree of muscle to actually operate most of the controls. 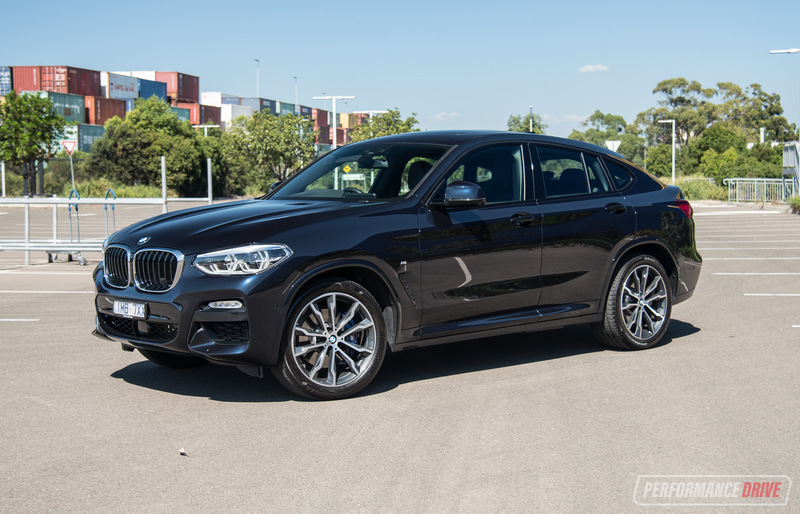 If, on the other hand, you need a dependable vehicle that’s built like – and as prepared as – an army general, we don’t think there is any other vehicle on the market at moment that we have more faith in. We do recommend you wait for the update later this year though before signing any dotted line. 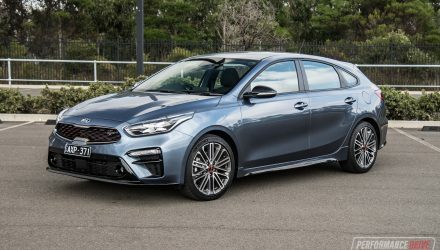 We’re super-keen to test it – this writer wants to buy the regular five-door wagon version.